The holiday shopping season is upon us and we will all be running around trying to find that unique and special gift that each family member will love. 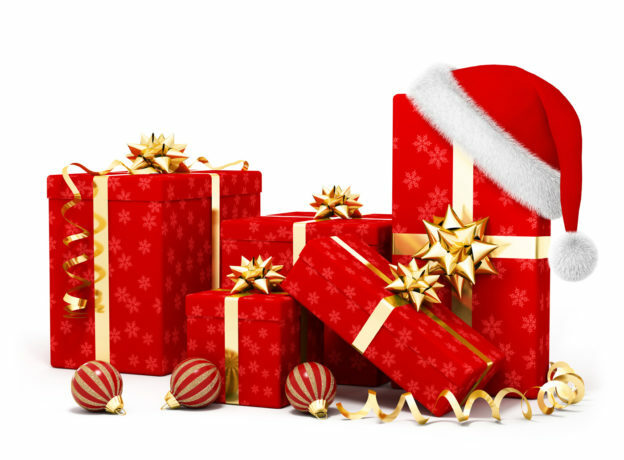 According to a Gallup poll conducted last November, the average shopper will spend about $830 on holiday gifts, including roughly $462 on their family. Of course, there are some who spend more and some who spend less. The article also said that while shopping, the average consumer spends $130 on him/herself. 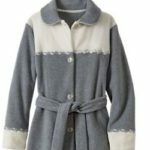 So this year, I am going to take $830 dollars and buy gifts that are from unique Vermont stores. My older brother loves Vermont Maple Syrup, so I decided to head to Above All Vermont in Manchester, VT. Above All Vermont is a unique country store that captures the quality and nostalgia that was once offered by general stores of long ago. They have everything from Vermont made products, specialty foods and even have an old fashion candy counter. 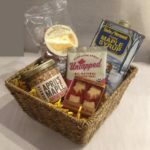 I found him the perfect gift basket with all kinds of Vermont maple products. I also got him a some buttermilk pancake mix to go along with his syrup. My sister in law loves to cook, so my next stop was to Olive and Ives which is also located in Manchester. The store specializes in unique olive oil and balsamic vinegar. Be daring and try their red cayenne chili fused olive oil. Their blueberry dark balsamic vinegar would go perfect over a garden salad. 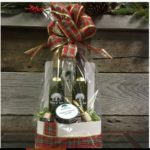 I found a wonderful gift basket filled with Tuscan herb olive oil, traditional balsamic vinegar, smoked garlic sea salt and two spouts for the bottle. Next stop,right down the street, is Northshire Bookstore. It is a family run and independent bookstore that has been in business since 1976. They have been voted the best bookstore in New England by Yankee Magazine. They have 3 floors filled with new and used books, music, gifts and the third floor is devoted totally to kids. Here I decided to shop for my niece and new nephew. 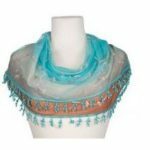 I found her a beautiful turquoise and chocolate sheer Ombre embroidered scarf by Rising Tide. 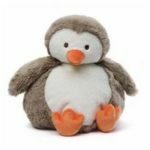 For my brand new nephew, I got a stuffed chub penguin from Gund because my niece loves them so much. It is going be perfect for his crib. While there, I even picked up a pair of my husbands favorite Darn Tough Socks. My mother just recently moved here from Connecticut, so I figured I should get something for these cold Vermont winters. She loves the Vermont Country Store so I decided to take a trip to Weston to see what I could find. You can spend hours browsing through all of the unique items they have for sale. 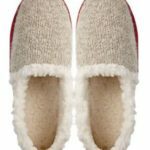 I found the perfect fleece robe that is made in Portugal along with a pair of rag wool slippers to match. While there I decided to also shop for my younger brother who loves to cook. During the summer he loves to cook outside on his grill. 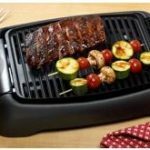 I found him the perfect indoor electric grill so he does not have to worry about freezing out in the cold when he wants to cook up a good steak or some burgers. I also got him some Vermont Maple Sriracha Hot Sauce that would make the perfect marinade. I also decided to shop for my other sister in law who is very hard to buy for. She loves to read at night so I thought this would be perfect to wrap in while she is reading her favorite book. It is a reversible throw that comes from Germany. What a better way to keep warm on a cold winters night. 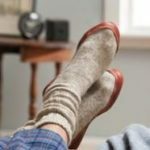 I also got her some Acorn Ragg Wool Slipper Socks to keep her feet toasty warm. Of course, I could not forget about my furbabies. They love Christmas, too. So on the way back into town I stopped off at the Orvis flagship store on Rte 7A in Manchester to see what I could find. 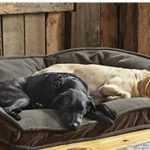 Shadow and Sadie love curling up on the couch, which doesn’t leave much room for my husband and me, so I figured why not get them their very own dog bed? This one is big enough for the two of them to curl up together and – it even looks like a couch. Maybe now we will finally have some room to stretch out. My husband has so many interests that it is sometimes difficult to find the perfect gift for him. I usually let him pick it out himself, but this year, I am going to give it a shot and, hopefully, surprise him. Since I was in Orvis what better place to find something that has to do with fly fishing. He does have a fly rod and has always wanted to go fly fishing so I went ahead and got him a new fly reel. 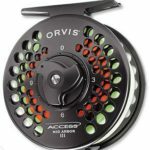 After a looking at several reels I decided to go with the Access Mid-Arbor Fly Reel which is their best selling reel. While I was at it I also got him a 1/2 day fly fishing lesson. My step daughter is very adventurous, like her father. Whether it is hiking or jumping off cliffs you can always guarantee that you will find her outdoors. The one thing that she does not have and has always wanted is pair of snowshoes. I found the perfect pair at The Mountain Goat right here in Manchester. This year marks their 29th year in business. I bought her a pair of Tubbs Flex Ridge 22 Snowshoes. These shoes are perfect for all mountain terrain which she is going to love. Now that I finished shopping for my family I decided to treat myself to something special. too. After all I have been good girl this year. I love to cook and try out new recipes so I decided what better place to find some new cookware than at Vermont Kitchen Supply at their new location. 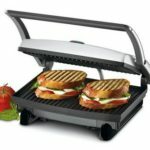 I always have liked panini’s and found this perfect Cuisinart Griil and Panini Press. Now I can make my own at home. I am also a big fan of slow cookers for the convenience of having dinner ready for us when we get home from work. 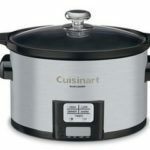 I found the perfect Cuisinart programmable slow cooker. It is going to be great to have some nice comfort food to come home to on those cold winter nights. So my holiday shopping is done. All that is left now is wrapping the presents and placing them under the tree. Happy holiday shopping, everyone!!!!! 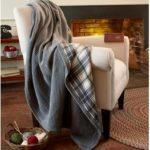 Find great places to shop and gift ideas on Vermont.com. This entry was posted in Now Trending, Shop on November 5, 2016 by Linda Cassella.